Large scale catering is often now a big part of large construction sites as well as the usual big events such as weddings and outdoor parties. 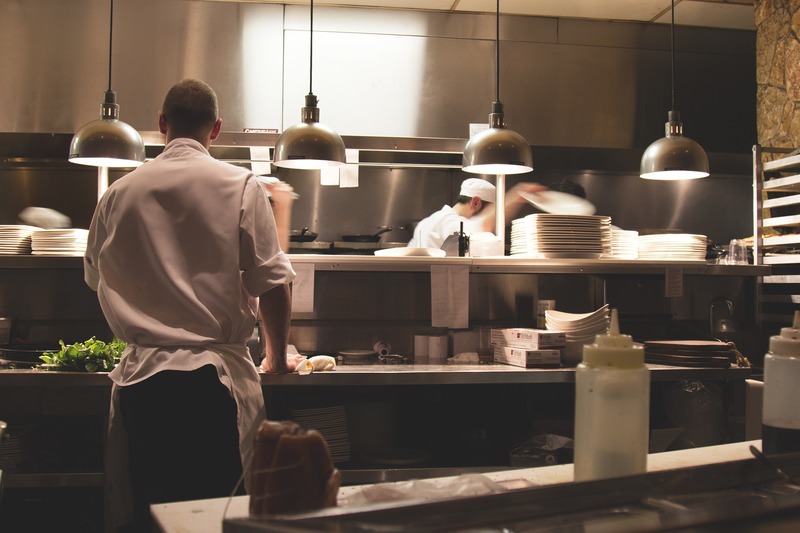 While caterers are often chosen based on how tasty their food is and the set up they offer, it is also their job to be alert to food hygiene. They will need to be very attentive regarding the dangers of bacteria strolling in both raw and under cooked food. For any large catering services, it is essential to ensure that the food presented is safe to eat. The food should be prepared in a hygienic manner with every precaution taken. You obviously consider whether the food is prepared well when you eat at restaurants, buy from different stores or cook at home. The same applies when dealing with large scale catering as health and safety of a lot of customers depend on it. Imagine if you are catering on a large building site and the firm you used was not meeting the hygiene standards. You could lose many workers and halt construction, costing you lots of pounds for the day. Campylobacter and Salmonella are 2 main types of bacteria that can cause food poisoning. You might be interested to find out that the Food Standards Agency in UK has warned that as much as 65% of all fresh chicken are infected with Campylobacter. Even though it is safe to eat this meat that is well-cooked, there have been various stories about food poisoning at large scale catered events if it was not cooked thoroughly. Campylobacter can result in hospitalization and worst case scenario is death. Therefore, it is recommended to use caterers who pay special attention to kitchen hygiene during not only preparation and but also the cooking stage of food. This means they should store cooked food and ingredients at the right temperatures and use squeaky clean utensils. It is important to have clean work surfaces. Caterers are expected to wash their hands multiple times or wear gloves and make sure that meat and other dishes are cooked thoroughly. In case of large scale catering, often cooking is done on location. In this case, grease and grime might build up on floors, walls and even on the preparation tables. This is preventable with daily cleaning to keep the premises in top condition. Any professional catering companies will be well aware of the cleaning and food hygiene standards. They will hold certificates in this and make sure the staff is well trained. Food safety is very important for any large scale catering. In addition to offering quality food that tastes good, consumers expect that the food will not make them sick. 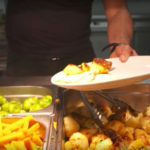 It is the caterer’s responsibility to maintain food safety and pass this along to their staff and make sure their customers are well looked after. Using a professional company will ensure this and they will provide a variety of tasty quality food that offers alternatives for people that have less tolerance to some foods. 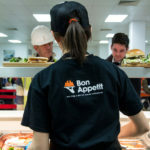 Bon Appetit, the UK’s number one choice for construction and building site catering providers.